WASHINGTON — The decision to discharge transgender soldiers from the Army now has to be made by a top, senior civilian official, documents obtained by USA TODAY show, a move that will make it more difficult to remove such troops from the service. Instead of being made by lower-level Army officers, the undated memorandum says the decision to discharge transgender soldiers must now by made by the assistant secretary of the Army for personnel. In all services, transgender troops can be automatically dismissed from service on medical grounds once they are identified. "This is a welcome step toward inclusive policy, but transgender troops must still serve in silence until more is done to dismantle the ban," said Aaron Belkin, director of the Palm Center, which has published research on sexual orientation issues in the military. Army officials had no comment about the memo, known as an All Army Activities directive, or the level at which decisions on dismissing transgender soldiers had been made, said Wayne Hall, an Army spokesman. The new directive expires after 12 months, or sooner, if a broader re-interpretation of the Army's rules about transgender soldiers is issued. The Army's decision echoes the military's dismantlement of the "don't ask, don't tell" policy, which allowed gays and lesbians to serve unless their sexuality was discovered. Before the policy was rescinded in 2011, the decision to discharge gay troops had been raised to the Pentagon's top lawyer and personnel official and service secretaries. In effect, that requirement functioned as a moratorium, as no further dismissals were sought under "don't ask, don't tell." "Hopefully this is a signal that the Army — and other service branches — will finally begin a comprehensive review of the regulations regarding transgender servicemembers, which everyone agrees is long overdue," said Joshua Block, who leads the American Civil Liberties Union Lesbian, Gay, Bisexual and Transgender Project. "I also hope the 12-month time frame is an indication that the Army understands the urgency of this issue for transgender servicemembers and their commanders." In this undated file photo provided by the Army during Pfc. 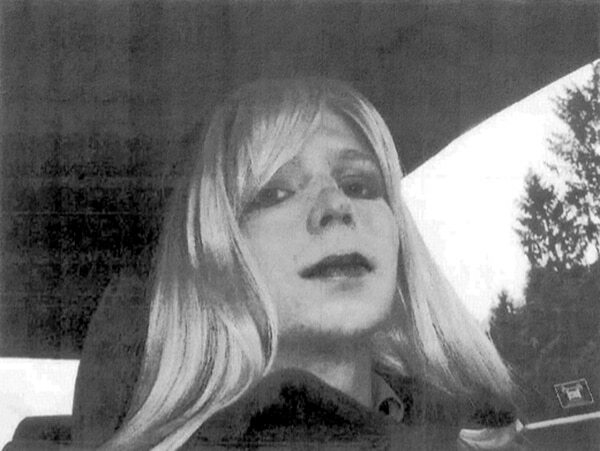 Chelsea Manning's trial, Manning poses for a photo wearing a wig and lipstick. Defense Department officials say hormone treatment for gender reassignment has been approved for Manning. The Army memo is the latest move toward changing the Pentagon's policy toward transgender troops. 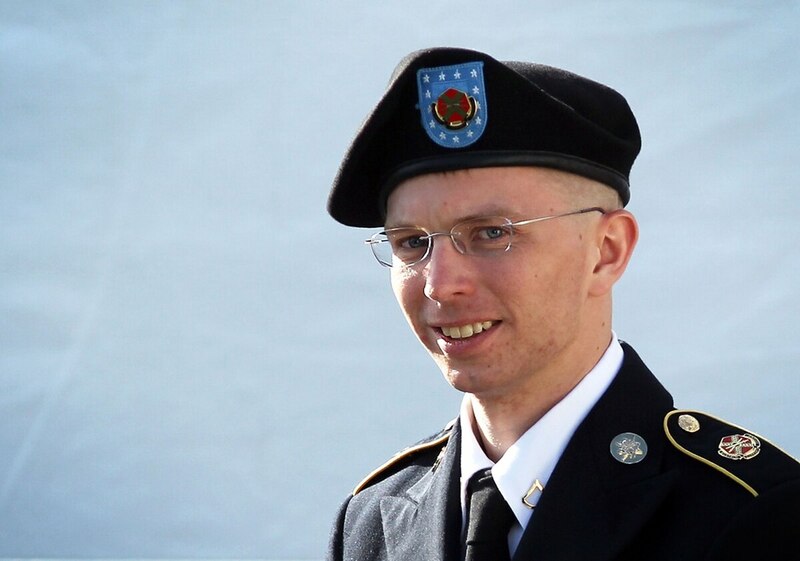 Last week, the Army, for the first time, agreed to allow hormone treatment for Chelsea Manning, a transgender soldier convicted of divulging national security secrets to WikiLeaks. Manning, previously known as Bradley, is serving a 35-year sentence at the Fort Leavenworth, Kan., military prison. In December, Air Force Secretary Deborah James said the ban on transgender troops should be lifted. The Pentagon does not track the number of transgender troops it has discharged. An estimated 24 transgender troops have been discharged from service, according to a report released last year by the Palm Center. It estimated that there are 15,000 transgender troops serving. There is no specific reassessment of the ban on transgender troops, said Lt. Cmdr. Nate Christensen, a Pentagon spokesman. However, a routine review began earlier this month of the Pentagon's medical policy under which transgender troops are discharged, he said. The review is expected to take a year or more.